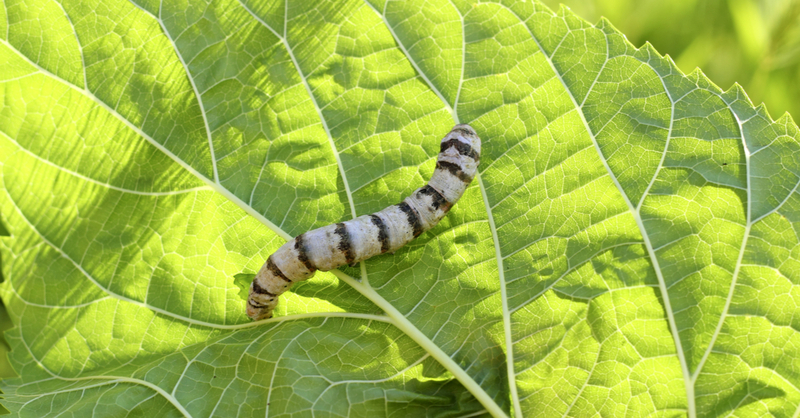 Serrapeptase, also known as serrapeptidase, serratiopeptidase, or serratia peptidase, is a protein-digesting enzyme produced by bacteria in the gastrointestinal tract of silkworms that aids the breakdown of their cocoons. As a nutritional supplement, serrapeptase is produced from a bacterial culture. Although its most popular use is for pain and inflammation, there are additional health benefits from this enzyme. Early research that included patients with joint infections found that the addition of serrapeptase to the antibiotic sulbenicillin for 6 days improved concentrations of the antibiotic in the exudate.1 In rats with gum infections, pretreatment with serrapeptase increased gum levels of the antibiotic ciclacillin by 8.5-fold; of ampicillin by 5.7-fold; and minocycline by 2.2-fold, compared to treatment without serrapeptase.2 In rabbits with experimental pleuritis or pneumonitis, the addition of serrapeptase to the antibiotic cefotiam delayed dissipation of the drug from plasma. It also increased lung tissue concentrations of the antibiotic in animals with pneumonitis.3 Among those with pleuritis, injection of serrapeptase was associated with an increase in cefotiam in the pleural fluid after 30 minutes compared to rabbits that did not receive the enzyme. Serrapeptase’s proteolytic activity can be utilized to break down mucus. In rabbits with bronchitis, administration of serrapeptase decreased viscosity of sputum and increased sputum volume, which was attributed to liquefaction.5 In a trial that included 40 men and women with a chronic pulmonary disease, serrapeptase resulted in increased magnitude and duration of sputum “relaxation,” while no significant changes in viscoelasticity were observed in participants treated with the mucolytic drugs bromhexine hydrochloride or ambroxol.6 The authors of the study concluded that serrapeptase affects sputum’s molecular structure. A double-blind clinical trial of 193 participants who experienced acute or chronic ear, nose, and throat disorders resulted in significant regression of symptoms after three to four days of treatment with serrapeptase.7 While both treatment and placebo groups improved after seven to eight days, improvement was greater among those in the serrapeptase group. The authors noted that serrapeptase had greater efficacy and more rapid action against all symptoms. In a double-blind clinical trial that compared the effects of serrapeptase to a placebo in 174 patients who underwent surgery to remove damaged mucosa of the maxillary sinus, supplementation with the enzyme before and after the surgery was associated with a significant decrease in the swelling of oral tissue compared to the placebo for up to the fifth postoperative day.8 No side effects were reported in association with serrapeptase treatment. Serrapeptase’s anti-inflammatory effect was further demonstrated in rats with induced inflammation. Serrapeptase was shown to fight acute inflammation better than two other proteolytic enzymes or aspirin.9 Additionally, the enzyme exhibited a synergistic effect with aspirin. A study that included 70 women with breast engorgement associated with breast feeding found that serrapeptase supplementation was better than a placebo for the improvement of breast pain, swelling and painful hardening known as induration.10 Among those who received serrapeptase, 85.7% had marked to moderate improvement. “Marked” improvement was noted among 22.9% of the women who received serrapeptase and 2.9% of the placebo group. Another study, involving 66 patients scheduled for surgical repair of rupture of the lateral ligament of the ankle, revealed a 50% reduction in swelling on the third postoperative day, while participants in control groups, who received classical conservative measures including elevation of the leg and bed rest, experienced no decrease in swelling during the same time period.11 Subjects who received serrapeptase became pain-free sooner than those in the control groups. Research has shown that serrapeptase is well absorbed from the digestive tract and enters circulation in an enzymically active form. Serrapeptase should be consumed in the recommended dose only for the period of time needed. Okumura H et al. Jpn J Antibiot. 1977 Mar;30(3):223-7. Aratani H et al. Jpn J Antibiot. 1980 May;33(5):623-35. Ishihara Y et al. Jpn J Antibiot. 1983 Oct;36(10):2665-70. Longhi C et al. Microb Pathog. 2008 Jul;45(1):45-52. Kasé Y et al. Arzneimittelforschung. 1982;32(4):374-8. Shimura S et al. Biorheology. 1983;20(5):677-83. Mazzone A et al. J Int Med Res. 1990 Sep-Oct;18(5):379-88. Tachibana M et al. Pharmatherapeutica. 1984;3(8):526-30. Viswanatha Swamy AH et al. Indian J Pharm Sci. 2008 Jan;70(1):114-7. Kee WH et al. Singapore Med J. 1989 Feb;30(1):48-54. Esch PM et al. Fortschr Med. 1989 Feb 10;107(4):67-8, 71-2. Al-Khateeb TH et al. Int J Oral Maxillofac Surg. 2008 Mar;37(3):264-8. Sivaramakrishnan G et al. J Maxillofac Oral Surg. 2018 Jun;17(2):122-128. Metkar SK et al. Mater Sci Eng C Mater Biol Appl. 2017 Jan 1;70(Pt 1):728-735.